The federal ethics watchdog is looking into whether to investigate Finance Minister Bill Morneau for a possible conflict in sponsoring a pension bill while owning shares in his family's pension company. And Morneau has agreed to pay a small fine for failing to disclose a company that holds his French villa, CBC News has learned. 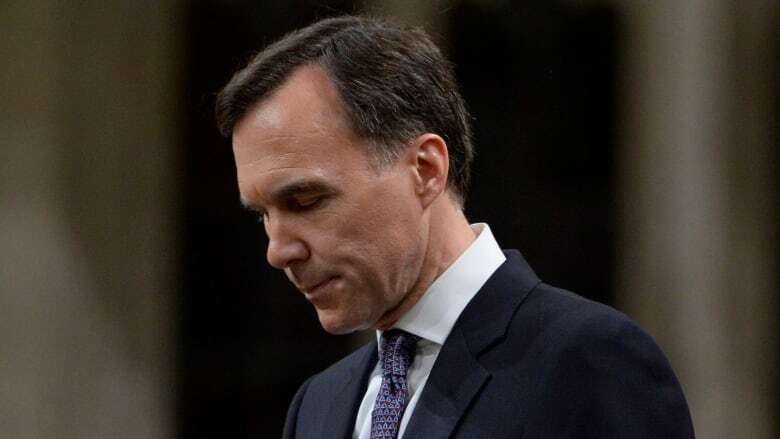 The federal ethics watchdog is considering whether to launch a formal investigation into whether Finance Minister Bill Morneau had a conflict of interest in sponsoring a pension bill known as Bill C-27 while still owning shares in his family's pension company. The revelation came after Morneau met with conflict of interest and ethics commissioner Mary Dawson on Thursday to discuss placing his personal holdings in a blind trust and divesting shares in Morneau Shepell, the company founded by his father. Morneau has been dogged by controversy over the shares and his use of private corporations to hold his assets — including one he failed to declare until last month, which holds a villa in France. A senior government source told CBC News that in the meeting, Morneau agreed to pay a $200 fine for failing to declare that company to Dawson when he was elected. Conservative MP Peter Kent had asked Dawson to look into the matter after CBC broke the story. Morneau may not be finished with the ethics commissioner, however. 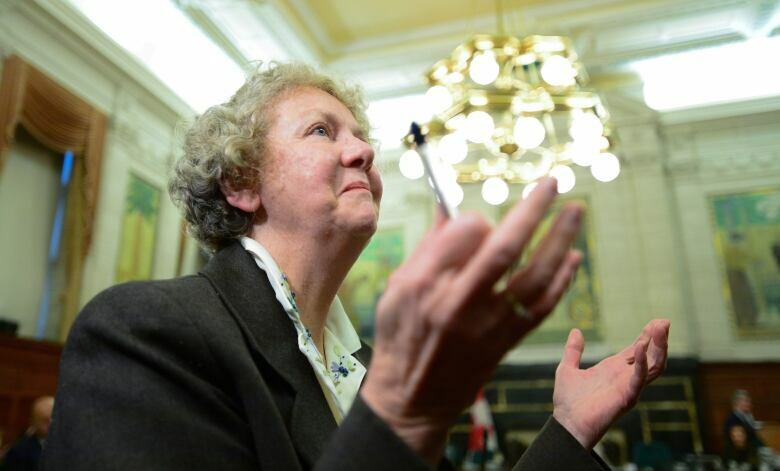 The NDP has called on Dawson to look into what it called an unprecedented conflict of interest over the pension bill. MP Nathan Cullen argued that because Morneau still held about one million shares in Morneau Shepell he could make millions of profit from the bill, if it passed. He sent a letter to Conflict of Interest and Ethics Commissioner Mary Dawson earlier this month asking for a formal investigation. Bill C-27 proposes changes to public pensions that could benefit companies that offer pension services, including Morneau Shepell. On Thursday, Dawson replied to Cullen in writing, saying, "your letter leaves me with concerns in relation to Mr. Morneau's involvement with Bill C-27." "I will follow up with Mr. Morneau and will inform you of the outcome in due course." In an email to CBC News Thursday, Dawson's office said she is looking into the matter and "has not yet made a decision on whether to proceed with an examination." A spokesperson from Morneau's office said he didn't see the letter as a sign of a formal investigation. "Absolutely not. [Dawson] is simply saying she wants information and facts, and the minister will of course cooperate fully to answer any and all questions," Daniel Lauzon wrote in an email. On Thursday the embattled finance minister said he will donate the profits earned on his Morneau Shepell shares since he was elected to charity. The finance minister met with the conflict of interest commissioner earlier in the afternoon. "I told her it was the intent of my family to donate any difference in value from my family shares from the time I was elected on Oct. 19, 2015, until now," he told the House of Commons. Morneau said he doesn't know what the value of the proceeds is yet. Morneau said he will unload the million shares, worth about $20 million, he has in Morneau Shepell, the human resources and pension management company his father founded. "If he hadn't owned those stocks over the last two years while ministers are banned from owning stocks then he wouldn't have those profits in the first place," said Conservative finance critic Pierre Poilievre. "Can he confirm now if he will donate the resulting tax savings that he will enjoy from the charitable tax credit to help pay off his deficit?" This story has been updated from a previous version that incorrectly stated the conflict of interest and ethics commissioner was investigating Finance Minister Bill Morneau. In fact, Mary Dawson's office said she is looking into whether to proceed with an investigation.